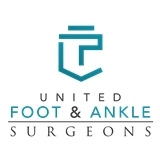 United Foot and Ankle Surgeons (River Forest) - Book Appointment Online! Dr. T.J. Ahn specializes in all foot & ankle problems with professional, sincere, and gentle care. Dr.Ahn is the only Center of Exellence level of Hyprocure surgeon in Chicagoland. Our Clinic offers accurate, convenient, and prompt foot and ankle care for our patients. Your feet and ankles do not have to be suffered! We speak English, Spanish, Korean, and Japanese.. We offer same-day, Saturday, and evening appointments. Most insurance plans including Medicare are accepted. Please call us to verify acceptance/benefit of your health insurance carrier. We also provide payment plans for our non-insured patients because we feel that the health of the patients matters the most to us. All major credit cards AND Carecredit card are accepted as well. Was definitely spot on in how to fix my issues. No wait time, Very professional and office staff was great too. Would recommend him for sure.